Now I love Salmon and try to have it at least once a week. I have not tried this recipe as yet but intend to as it looks delicious and healthy. Now does this not look delicious? This looks delicious. You could say oh my goodness all that butter. Hang on don’t we spread the corn cobbs with heaps of butter, pepper and salt. Oh yes we do, so why not cook it this way. This recipe is from one of my readers and it is worth checking out her website as she has some pretty amazing recipes . In a small saucepan over medium high heat, melt the butter. Add all of the rest of the ingredients and stir to combine. Continue to cook, stirring frequently, until all of the liquid is absorbed. Let sit for 5 minutes and serve. I made this last night and was delicious. My husband does not like cucumber so I used red pepper (capsican) instead of the cucumber. I did get a little carried away with the coriander (cilantro) but for me it was perfect. A great low calorie snack or have as a salad with your meal or just on its own. This is what I love about my machine. I rinse all my vegetables even lettuce and it is so surprising what washes off, even Organic fruit and vegetables. 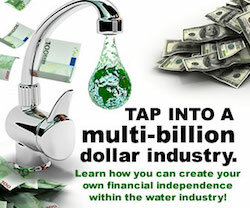 This is 11.5 pH Kangen Water’s greatest use: Today, pesticides are petroleum-based chemicals with high mercury residues that CANNOT be washed off by tap water. On the contrary, when washed with tap water, loaded with chlorine and fluoride, the pesticide will actually ABSORB the chlorine and fluoride INTO the fruit or vegetable. Testing your water for chlorine and fluoride before and after washing your fruits and vegetables can prove this. After washing your fruits and vegetables, your tap water will be TOTALLY free of chlorine and fluoride. Where did it go? It went straight into the fruits and vegetables and the petroleum-based pesticide it is coated with. Take 11.5 pH Super Kangen Water® and literally watch the petroleum-based residue drip right off. Try this experiment at home. 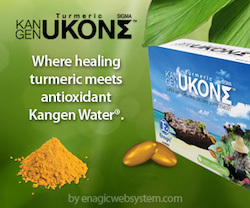 Take 11.5 pH Strong Kangen Water® and submerge a bunch of cherry tomatoes in it. Also take tap water and do the same thing. Wait 15 minutes and take the tomatoes out of both waters. Your 11.5 pH water will be filthy dirty with the pesticide residues and your tap water will be as clean as a whistle… MINUS THE CHLORINE AND FLUORIDE. Your 11.5 pH washed tomatoes will taste delicious while your tap water washed tomatoes will taste awful. 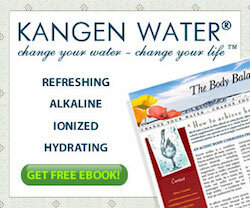 This alone is a reason why you should have a Kangen Water® System in your home. There Is A Fight Going On Inside Of You?